Meryl Streep's Golden Globes acceptance speech on Sunday is not the first time a celebrity has taken a spotlight moment and highlighted political issues. Hollywood and Washington DC have had a complicated relationship over the years. Award shows often provide the perfect platform for a star to share his or her point of view on controversial subjects. Here are 5 other acceptance speeches that targeted political people or positions and stirred up controversy. The doors were always open to all comers. And the spirit of welcome and inclusion is what made this country the greatest in the world. 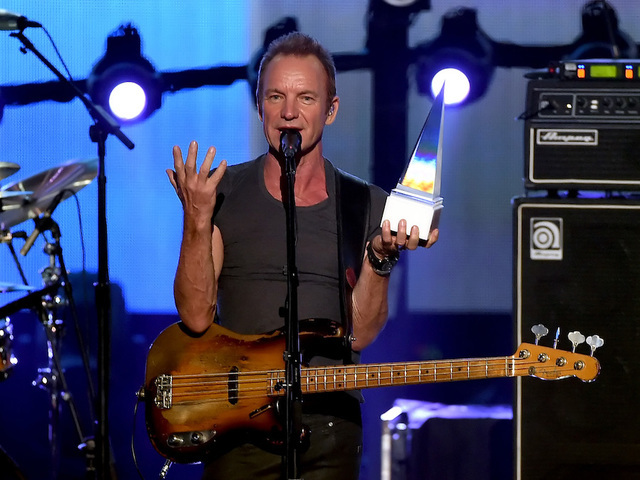 I thank you again for this honor, and promise you that while I may be an Englishman in New York, my musical soul is all-American. Thank you. Marlon Brando made waves during the 1973 Academy Awards for a speech he didn't make when he won the Best Actor Oscar for "The Godfather". In his place, he sent Sacheen Littlefeather, president of the of National Native American Affirmative Image Committee to reject the honor because of, "the treatment of American Indians today by the film industry and on television and movie reruns," she said, and a siege at Wounded Knee, S.D. involving Native American activists and law enforcement," according to the Washington Post . 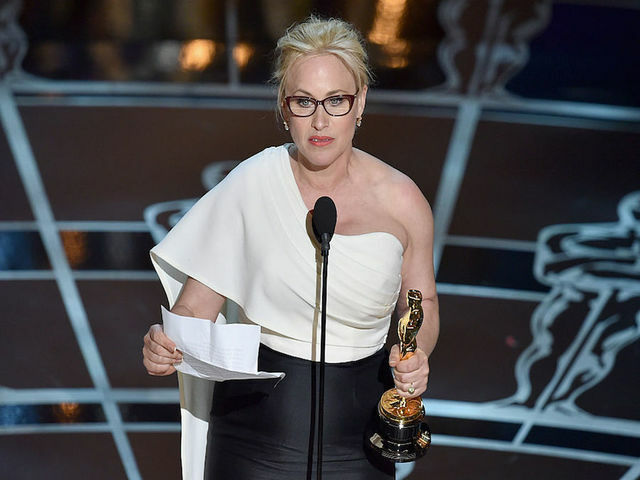 Actress Patricia Arquette used her 2015 Best Supporting Actress Oscar acceptance award to talk about gender equality, according to a report in Variety . In one of the most famous acceptance speech controversies in modern history, singer Taylor Swift hardly had a chance to say thank you for winning the Best Female Video award when Kanye West jumped on stage, grabbed the microphone and loudly complained that the wrong lady won the award. "I'm sorry, but Beyoncé had one of the best videos of all time!" Kanye was referring to Beyoncé's "Single Ladies" video. Nearly seven years later, this incident continues to be talked about as one of the most controversial moments in music industry awards history for its shock value. It probably should have been no surprise that controversial director Michael Moore would make headlines during his acceptance speech for winning the Best Documentary Feature Oscar for his work "Bowling for Columbine". At the time, reaction to the speech was so negative, Moore had to hire a security detail for protection, the Public Broadcasting System reported. During his speech, he slammed then-president, George W. Bush, calling him a "fictitious president" for "fictitious times". Watch the full speech in the video below.